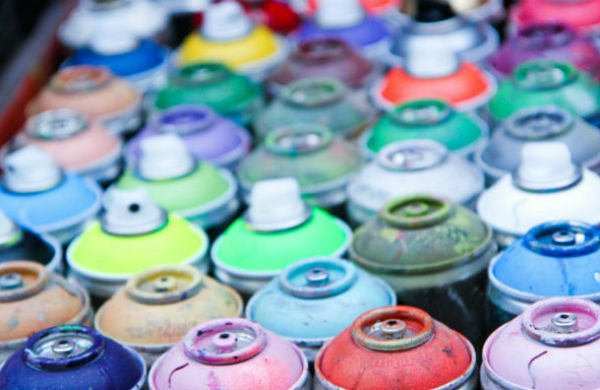 Street art is in constant flux. Pieces can disappear when councils go on sporadic painting sprees or can become unrecognisable through tagging. But there are areas of London that are guaranteed spots for incredible pieces, even if what you thought was there is gone. There are galleries dedicated solely to the movement too, which made its transition from street to the gallery (mainly thanks to Banksy) over a decade ago. The Leak Street tunnel under Waterloo Station originally became decked out with Street Art as part of the Cans Festival in 2008. Since then it has become a semi-legal place for the art form to exist. Most recently Paint Jam repainted the site - artists taking part were Artista, Airborne Mark, Ben Naz and Perspicer. You can also spot an original Banksy, Faile and Mau Mau amongst a host of others, and new pieces appear all the time. It’s definitely worth a visit. Nearby galleries that specialise in the more ‘pop’ side of contemporary art often have street art exhibitions. Check out Elms Lester, Lazarides, Raven and Rook and Lawrence Alkin Gallery. Heading west on Portabello Road, the Graffik Gallery is a brilliant little gallery dedicated solely to Urban Art. It holds regular exhibitions for innovative emerging artists and workshops for beginners and budding graffiti artists. If you want to go on a street art trail head to Shoreditch - it is home turf to a host of artists such as Eine, Stiks and Phlegm. You are pretty much guaranteed to see new artworks appearing throughout the year. If you want to know a bit more about the current works there you could do a guided tour - check out Shoreditch Street Art Tours, Street Art London or Alternative London. Most of these are free but expect a tip. Alternatively, you could just go for a wander. Streets such as Brick Lane, White Church Lane, Redchurch Street, Hanbury Street are must sees. Also have a look around the Truman Brewery area and interconnecting roads. 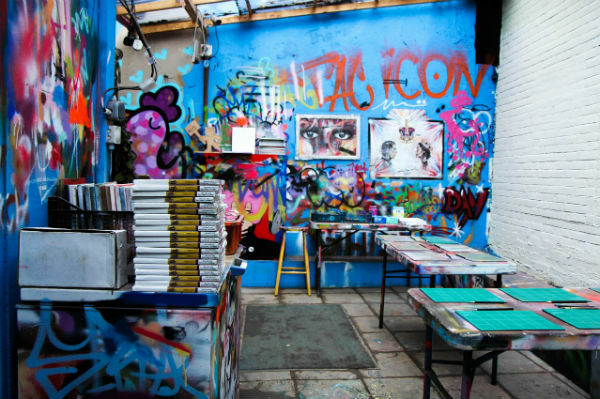 Include Village Underground on your walk - it is an incredible setting for street art, with the converted tube carriages (now working studios) high on a rooftop above a mural wall which has commissioned pieces by a rotating selection of famous artists. Shoreditch is also where you’ll find the specialist galleries such as Black Rat Projects, Pure Evil Gallery, Nelly Dean Gallery, Lawrence Alkin Gallery and Picture on the Walls to name a few. You can pick up a good print in one of these galleries. Further east, an area ripe for Street Art is Hackney Wick. Although it does involve some searching, you can find major pieces by Sweet Toof and Paul Insect. I suggest making a day out of it - visit the canal, stop by the Cre8 Gallery and finish at Crate microbrewery for a pint and delicious homemade pizza. 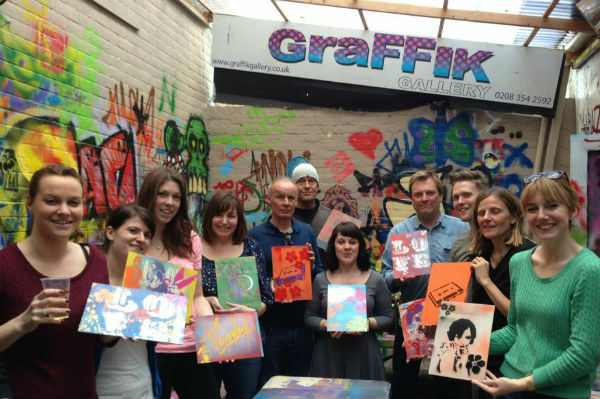 Images © Graffik Gallery – Graffiti Workshops Where do you go for street art in #London? Let us know! @Groupon_UK #grouponguide ____ Check out our deals for things to do in London. Art Sleuth is a blog about the contemporary art scene in London; comprising tangible reviews of opening nights, recording unusual exhibition spaces and general buzz and goings-on. Art Sleuth loves emerging artists, community art projects, supporting art for a good cause and discovering anything new, different and that is passionate about what it does. The blog covers the major art fairs and anything considered a yard stick for contemporary art right now. It gives readers a heads up on future art events that won’t hit the mainstream media.